Can someone help me grow this the 3dmk vine it look different for the image see attached, I cannt seem to work out the settings. I downloaded then open, then post vine seem to have to much down force ? In the object reaction modifier options you could try changing the calculation method. 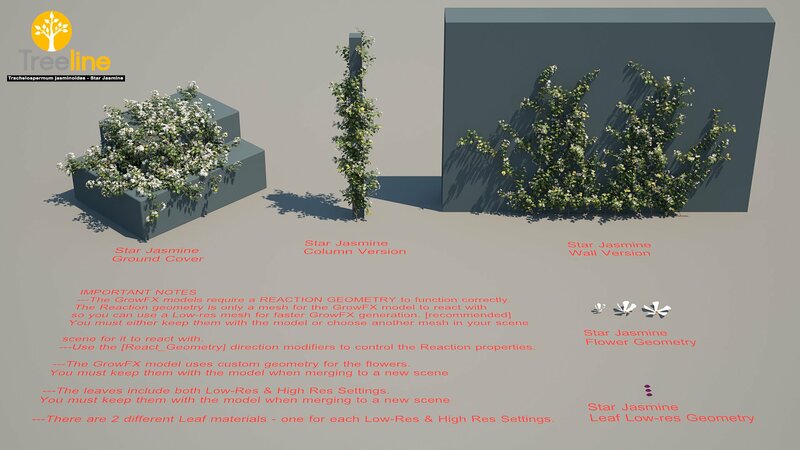 I don't know what it is in your plant but "use vertices" is the default. If your wall object has too few vertices this will not work very well. Try changing this to "generate points on face" and making the step a small number like 1". You can choose "show magnetic points" to visualize this. I am guessing that the 3DMK has already has a good setting for reflection distance, magnetic distance, and max strength. Pretty Excited I got it to work !